There continue to be some significant myths among family medicine practices as they prepare to implement ICD-10 in October. This week, I will attempt to debunk some of these myths for you. Myth: Another delay in implementation is inevitable. Fact: Under current law, the ICD-10 transition date remains Oct. 1, 2015, and the Centers for Medicare & Medicaid Services (CMS) plans to implement ICD-10 on that date. Based on experience and the our natural inclination to procrastinate, it is tempting to believe this will be pushed back again. CMS has made it clear, however, that the government, payers, and large providers have made a substantial investment in ICD-10 and that this cost will rise if the transition is delayed. So expect CMS to implement ICD-10 on time to avoid an unnecessary increase in health care costs. Myth: There will be a “grace period” for submitting ICD-9 codes for dates of services on or after Oct. 1, 2015. Fact: Only claims coded with ICD-10 can be accepted for services provided on or after Oct. 1. Claims filed with something other ICD-10 codes on or after that date will not be accepted. Myth: Family medicine practices will have to use 68,000 ICD-10 codes. Fact: The typical family medicine practice does not use all 13,000 diagnosis codes available in ICD-9, and it will not be required to use the 68,000 codes that ICD-10 offers. As you do now with ICD-9, your practice will likely use only a small subset of the codes available in ICD-10. Myth: Family medicine practices will have to learn a completely new process for finding diagnosis codes. Fact: You will use a similar process to look up ICD-10 codes that you use with ICD-9. Increasing the number of diagnosis codes and changing the way those codes are structured does not necessarily change the way you find a code. As with ICD-9, ICD-10 has an alphabetic index that helps with code selection, and electronic tools are available to help with code selection, just as there are now with ICD-9. Myth: ICD-10 changes the way physicians report the services that they provide. Fact: For physicians, ICD-10 only changes diagnosis coding. 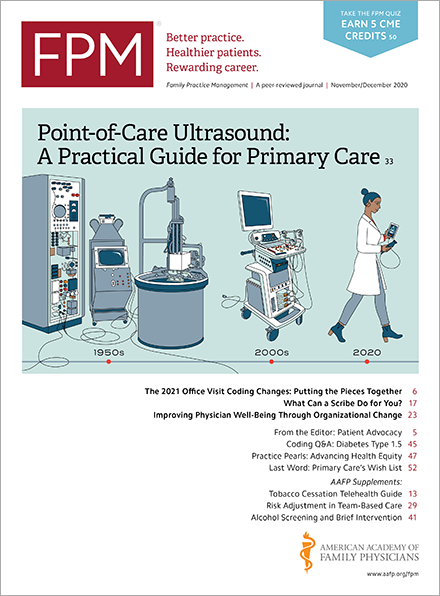 It does not affect the use of Current Procedural Terminology (CPT) and the Healthcare Common Procedure Coding System (HCPCS) for physician claims. Your practice will continue to use CPT and HCPCS to report physician services. Myth: ICD-10 will affect how much physicians are paid for their services on a fee-for-service basis. Fact: Medicare and most private payers’ fees are pegged to the CPT or HCPCS code submitted, not the diagnosis code, and as noted, CPT and HCPCS codes are not changing on Oct. 1. As with ICD-9 diagnosis codes, ICD-10 diagnosis codes may sometimes be used to determine coverage or medical necessity of a particular service; however, beyond that, they should not affect the payment amounts for covered services. For more facts about ICD-10, please visit the ICD-10 web page(www.cms.gov) on the CMS web site, and for help preparing for ICD-10 implementation, please visit the coding web page on the AAFP web site.